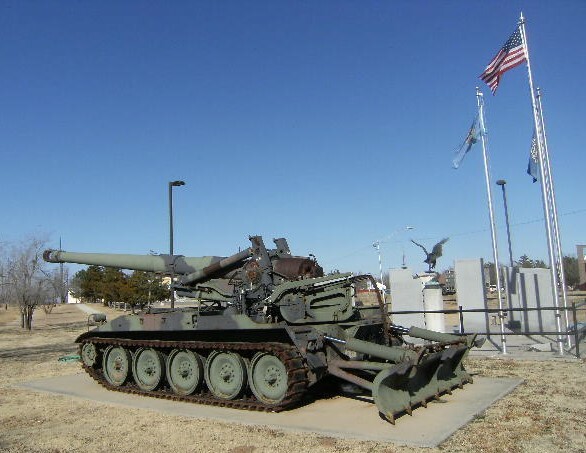 Ken Mitchell (70-71) sent this photo of an 8"Self Propelled Howitzer in Woodward County Veterans Memorial, Oklahoma. 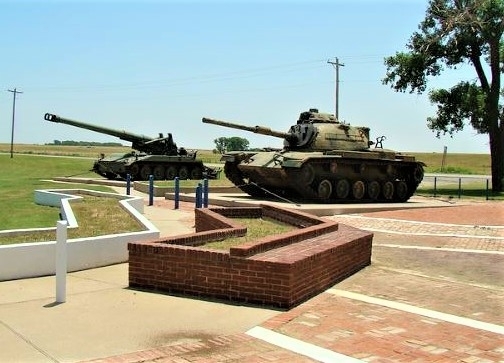 Ken Mitchell (70-71) sent this photo of an 8"Self Propelled Howitzer and M60 Tank in Medal of Honor Memorial Park, Helena, OK.
Ken Mitchell (70-71) sent this photo of an M110A2 8" Self-propelled Heavy Artillery on display at the city Sports Park/ Veterans Memorial in Lahoma, Oklahoma. 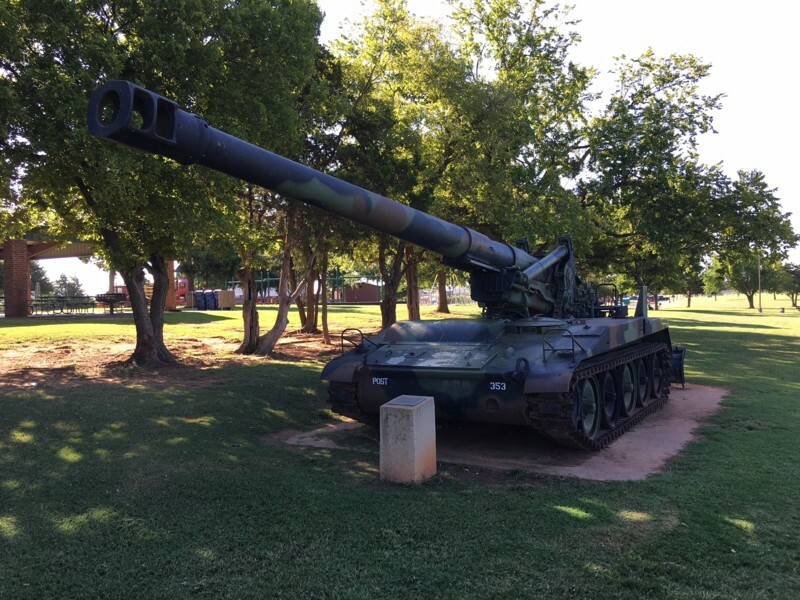 Ken Mitchell (70-71) sent this photo of an M110A2 8" Self-propelled Heavy Artillery on display at the main city Park in Mustang, Oklahoma. 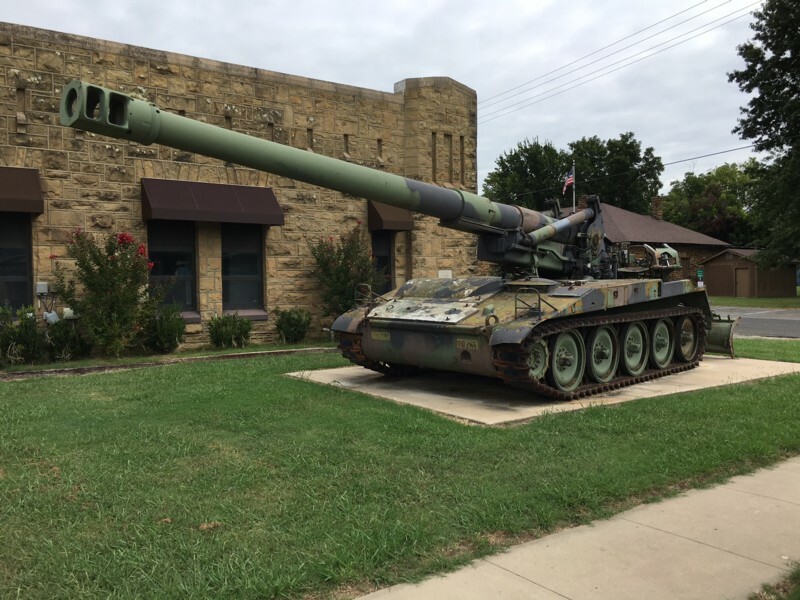 Ken Mitchell (70-71) sent this photo of an M110A2 8" Self-propelled Heavy Artillery on display right on the main street in Wagoner, Oklahoma. In front of the National Guard building. 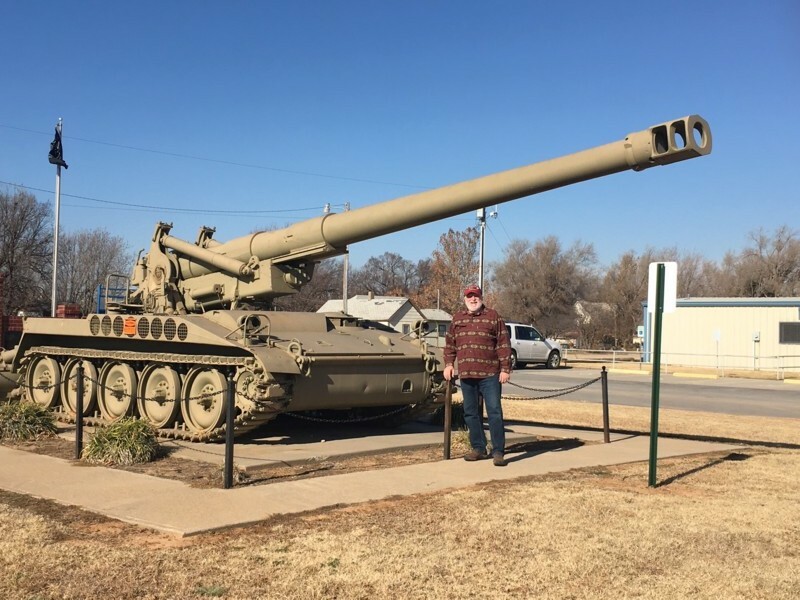 Ken Mitchell (70-71) with an 8" Self-propelled Howitzer, War Memorial Park, Muskogee, Oklahoma. 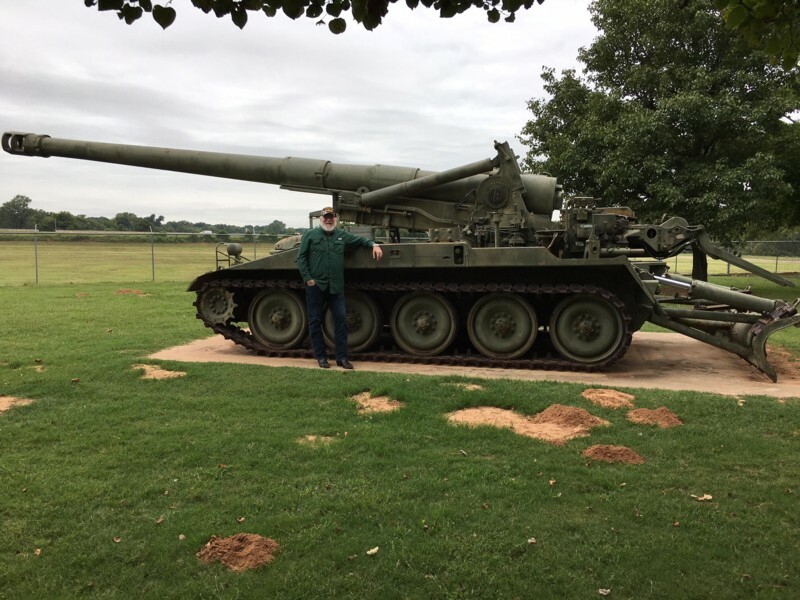 Ken Mitchell (70-71) with an 8" Self-propelled Howitzer, Barnsdall, Oklahoma. This is the newer M110A2. With the longer barrel the 8" round is pushed out to 18 miles range. 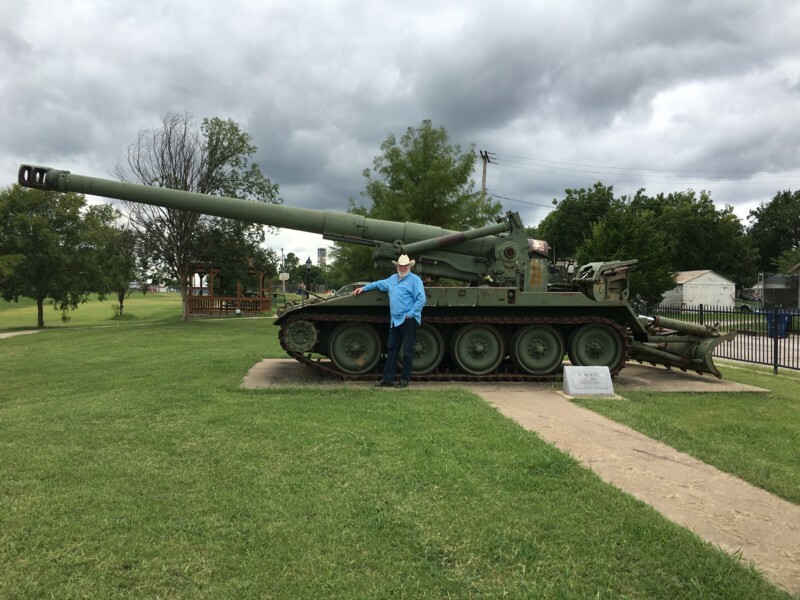 Rick Ploetz (69-70) sent this one of a 175mm near Ft. Riley, Kansas. 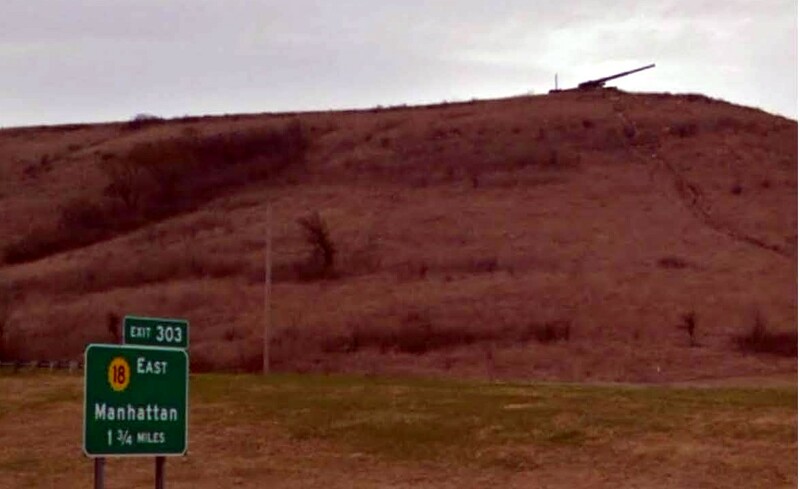 This is a copy from Google Street View of a 175 standing guard on a hilltop over I-70 across from Ft Riley.